My goal at Mixergy is to go outside of the Silicon Valley stuff that you hear over and over again, the same companies that you hear and see, and talk about. I want to introduce you to companies that you wouldn’t have known about otherwise, so that you can open your eyes to a new way of doing business. You can learn from these companies, and then bring back their ideas to your company, grow it, and hopefully I’ll have the honor of getting to interview you. Joining me today is an entrepreneur named Elizabeth Dukes. She is the co-founder of iOffice Corp. They offer innovative facilities management solutions. Bet you didn’t know that. We’re going to talk about that and what that means in this interview. 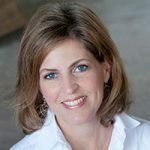 Elizabeth Dukes is the co-founder of iOffice Corp. which offers innovative facilities management solutions. Andrew: Hey, everyone. My name is Andrew Warner. I’m the founder of Mixergy.com. It’s the place where I interview entrepreneurs about how they built their businesses. My goal here is to go outside of the Silicon Valley stuff that you hear over and over again, the same companies that you hear and see, and talk about. And to introduce you to companies that you wouldn’t have known about otherwise, so that you can open your eyes to a new way of doing business. You can learn from them, and then bring back their ideas to your company, grow it, and hopefully I’ll have the honor of one time getting to interview you. Having you here to talk about what you learned and what you built, so that you can pass it on to other people in the Mixergy audience. Joining me today is an entrepreneur named Elizabeth Dukes. She is the co-founder of iOffice Corp. They offer innovative facilities management solutions. Bet you didn’t know that. We’re going to talk about that in a moment and what that means, and we can do it all thanks to my two sponsors, HostGator and Acuity Scheduling. I’ll tell you more about them later. First, Elizabeth, welcome. Elizabeth: Thank you. How are you? Andrew: Good. We were talking about how it’s hard to sum up what you do for an audience that’s not as aware of it, and I came up with a scenario that I think will help the audience understand. Say I work for a big company, and I happen to be flying into the Austin office for a meeting, and I need a desk for the day. What do I do with iOffice that I couldn’t do before? Elizabeth: You could do a couple things. You could be sitting at your desk in your host city and make a reservation for a space in the Austin office for the day that you are planning to travel there. Or the day that you arrive in Austin, you can pull up a mobile app that allows you to make a reservation for the space on the fly. Andrew: …in Austin saying, “Hey, do you guys have space for me? I’m coming in today. It’s going to be late.” This, I can do it on my phone or do it at my desk. Once I arrive and I get to my desk, if I need a conference room what do I do? Elizabeth: The same thing. It’s the same process. I mean, a workstation or a conference room is still a space, and you can reserve it or find out what’s available. Companies have different protocol or a procedure for conference rooms that they may have for workstations. Conference rooms are typically more reservable. Workstations are not. But on top of that is all the oper-… I mean, that’s a very straightforward explanation for the worker. In addition, if it was too hot in the conference room or too cold, or maybe they wanted to see where a printer was, they could do all of those things, functionality from the mobile app. But then, on the backend you’ve got operations being able to respond to all that and ensure the space is available, and track how that space is used so that on a go-forward basis they’re providing the right service and space. Andrew: Yeah. I even want to know who happens to be there, who I might want to bring into a meeting. Like if I needed a marketer and I’m not from the Austin office, I don’t know where the marketers are. Are they on the seventh floor? Are they on the eighth floor? Go again to the app, and boom. I find that person. Andrew: This is not like an obvious thing that somebody comes out of college and says, “I want to do.” You actually had to have some work experience before you could come up with that idea. You worked for Pitney Bowes. Andrew: You told our producer that you were 25 years old when you made your first commission check. What did you sell that got you your first commission check from them? Elizabeth: The services that we provided was two-fold. One was production printing or reprographics that primarily serviced the legal community. So when companies went into litigation, they were required by law to produce a copy of all the documents to the opposing counsel. So it was a huge business to copy all of these documents. That is what I sold to these law firms, to these paralegals, so they would use us. We would produce it expertly in a timely manner. That was how I made my first commission check. But then, I moved into another side of the business, which is how I got into the software side of it, where we provided services on an outsource basis to corporations. So they would outsource their printing and mail room, and printer fleet management, and we would provide the human resources and the processes, and the technology to manage it. Andrew: Pitney Bowes would do all that? Elizabeth: Correct. [inaudible 00:04:24] management services, yes. Andrew: The other thing you told our producer was that you were a very shy, introverted child. To be the person who’s now on camera here with me on Mixergy, to be the person who can go out and sell to companies, you sold to Exxon back when you were at Pitney Bowes, how did your dad help you become less shy and be the kind of person who could go in and try to sell? Elizabeth: Well, first of all, my dad was just very encouraging. I can do anything. He was very positive and complimentary, and just believed in me as a person. So as a kid, that always is helpful. But I have always been successful when I believe in something, when I feel like I’m being authentic and truly trying to help somebody and contribute, and make their life better. I always believed in everything that I sold, that the solutions that I [was] offering were better and could improve their lives and the people that were involved. So that gave me the confidence to be able to talk about it. Andrew: You got a little burned out at Pitney Bowes. What was it about that? Take me to your headspace then. Elizabeth: It’s just corporate, very bureaucratic, a lot of red tape. They would set the bar on one successment, and then you would achieve it, and then they would raise the bar again. Inability to kind of contribute to the deliverable. You would find all these opportunities for solutions, and not really have the ability to facilitate that. I mean, you had on a limited basis the ability to do that locally. But new advancement, new technology was always caught up, up here in the corporate environment and never kind of trickled down. So it was hard to really differentiate yourself. It became a commodity. Elizabeth: It’s just became boring, really. Andrew: I get that. You seem like somebody who was looking for something much more challenging than that. There was a guy with a handlebar mustache who factored into this next career move. Tell me about that. What was it that [inaudible 00:06:30] find this business? Elizabeth: Well, that was sort of a random opportunity that my co-founder, Don Traweek and I, we didn’t intend to leave together. I was the marketing and sales side of my Pitney Bowes team, and he was the ops guy. So we partnered successfully for our customers, and we both burned out for the same reasons. We started doing all this research and went to studies about career planning and how to find things that truly bring out your own personality and make you happy. Anyway, I started just networking with people, and this gentleman had a company he knew nothing about, he was just an investor in and kind of a financial advisor, “The Handlebar Mustache Guy”. He wanted us to come to work for him to kind of vet their deliverable, see if it was worth taking to the market and growing that business. I convinced Don, good or bad, to come with me, because he was the ops side, I was the sales side, and that’s kind of how it started. He was just a very… Maybe “flamboyant” is not the word, but he was just very excited, outgoing. You kind of got attracted to him, so you wanted to be a part of that. It was a smaller environment, and it showcased that we could kind of take on a business and run it ourselves and do what we thought was best. Andrew: Were you running his business, or were you just vetting his deliverables? Elizabeth: Well, no. We were running it. We were running what they had currently going on. Back in the day, when mainframe was where all of the centralized financial reporting was, this company was a warehouse for printing. So they would get all the central mainframe [feeds], produce all the prints, and they wanted to go into imaging or scanning as a warehousing type of solution offsite. So our job was to continue to maintain this business, but then vet this new opportunity. Andrew: Ah, I see. He had this idea that he could do scanning for companies. Right? I scan right now. People who come in my office are shocked by how little is here. The one thing that I do allow myself to have on my desk is a scanner, because I scan paper and I toss it in the garbage, and I like to keep things clean. He said bigger companies need people to scan on a much bigger level. Elizabeth: It’s so expensive, on a backhaul basis to go and scan all your backhaul files. Back then, I mean, this was 1997. I guess that’s when it was. We said, “No. If you [wanted to] go forward, you can. But we really don’t think that’s going to be a business that thrives.” I don’t know. Well, there are some projects, particularly like in healthcare where they do a lot of scanning of patient records and they want to keep track of them. I’m sure it’s evolved. But it honestly just didn’t excite Don and I.
Elizabeth: We just didn’t find a lot of opportunity there. Andrew: But the idea behind it also didn’t make as much sense for you. Because it sounds like what you’re saying is doing the back stuff, like the one time coming in and scanning everything that companies have. That’s a one-time job. It’s not an ongoing business. Elizabeth: It’s too expensive, and they just couldn’t afford to do it. Andrew: I see, and they couldn’t afford to scan all those documents in. Elizabeth: [inaudible 00:09:45] So it’s really more of a go-forward type of scenario, if you make a commitment that you’re going to image and have a document imaging system. Which really we were more interested in was the document imaging system is pretty cool. The software side of it, not just the production side of it. We wanted to get out of that sort of production type of solutions. Andrew: So I want to know how you ended up in facilities management software. Because again, it’s not the kind of thing that you just wake up one morning and say you’re going to do. You know what most people do? They get up one morning and say, “I think I could create a better photo sharing app.” The world is going to have successful photo sharing apps, much more than we have now. But there are a lot of them already. This is an innovative idea. Where did you come up with that? How did you end up on facility management? Elizabeth: Well, that was from the Pitney Bowes Management Services side, because we were managing, although it wasn’t quantified as fac-… We did call it Facility Management Services, and the copy and the mail delivery, and the asset delivery. So what happened was we had one of our former coworkers who was trying to provide a solution for their customer, a mail tracking application. I know it sounds simplistic. But in these corporations where you’re getting all these packages in and somebody has to deliver it to you, and get a signature of receipt, and there’s got to be a chain of custody in place, people need technology to do that, and they asked us to build it. Elizabeth: You just take that all the way inside to the building. Andrew: Inside. Right? So I know who has it. Elizabeth: Yeah. He paid us to build it for him. But then we thought, “We’ve got customers in Houston that we have relationships with, and we think we can go sell it to them.” So we started doing our own research. We started building it for him, and then we went back to our former customers and said, “We want to build this software application on the web,” which was like, “Ah,” scary, “that provides these services. But it allows you to consolidate multiple services in one place, and track and manage, and report from a single location. Andrew: What was your investment request for them? How much money did they have to invest? Was it the equivalent of a monthly fee? Did they have to commit to being customers? Or were you going to have them pay a substantial percentage of your make cost? Elizabeth: No. We funded the development, and they paid an annuity from the beginning. It was just a very basic flat monthly fee. Andrew: They had to commit to a certain amount of time? Andrew: No, not even that. Okay. Elizabeth: It’s always been a 30-day out clause. We’ve always had a 30-day out clause, and they just had to give us up front setup kind of fees, and then monthly hosting fees based on the services we provided. It grew because of our customers. So we got inside of these companies, and it expanded because the customers were so interested in integrating multiple different back office facility management services into this one platform. Elizabeth: Yeah, “Where are our people, and on the space, and what happens if they move? We need to coordinate when they move. We need to know where all our assets are, and we need to know when they move. We need to be able to register visitors.” It just was an explosion of opportunities. Andrew: I’m looking at the early version of your site. This is a business that you started in 2002. I’m looking at the 2003 version of the site. It says that there is a Mail Module. That’s what you talked about. Andrew: There is an employee directory. They needed that. Andrew: All on the web. You actually just emphasized this is web-based. There’s a Visitor Module, so they could keep track of who’s visiting their office. Andrew: Space Module, that’s what we talked about before. There’s an asset module that I’m imagining keeps track of which computers are owned and held by whom. Right? Elizabeth: It really wasn’t computer, because we don’t connect to the network and software that connects through the network is what’s pulling in computer equipment usually. But ours was all the other ancillary stuff, the printers, the fire extinguishers, art. Elizabeth: Where is it? Yes. Andrew: Because you have to keep track of it as a company. Andrew: Right? You have to keep it on your books. Why do all of that? Why not come out and say, “We’re only going to manage one thing and do it right, and then we’ll add another and another?” Why not start with just the Mail Module, for example? Andrew: Oh, we’re okay. Sorry. There’s something on the Services page that stands out to me that I don’t think anyone talks about anymore, but you did at the time. I’ll come back to it in a moment. But first, I’ve got to tell everyone who’s listening to me about my sponsor. The first sponsor that I’ve got to talk to you about today is a company called Acuity Scheduling. Elizabeth, do you know Acuity Scheduling? Or am I about to introduce you to them too? Elizabeth: I don’t know them. Elizabeth: Yeah, I don’t know [them]. Andrew: I don’t know if you… Actually, I imagine that you do. You guys do talk to your customers, right? After they sign up, you make sure you get on a call with them. I think a lot of software-based businesses do not talk to their customers. They imagine that people are just going to buy and they’re going to get serviced online by the software, and that’s it. I see what you’re doing with your head. No way. That’s not how it works. Elizabeth: No. No. We have to create relationships on an ongoing basis. Andrew: Perfect, right? They pick the time off your calendar, they add their name and phone number, and boom. Now it’s on your calendar and it’s on their calendar, so you’re both reminded to get on the call and you can talk to them and understand why they’re trying it. What are they looking to do with it? What’s their goal here? What’s their business like? And get them started. Maybe you do a screen share. How about after they buy and they don’t get their people to use it? You say, “Here. Here’s a link. Give your people my link. They can sign up to talk to me and I will walk them through how to set it up.” If people don’t use your software, they’re not going to continue to pay for it. There are all these different places where you can actually talk to your customers, and if you’ve tried it and failed, one of the reasons is that you don’t make it easy for your customers to get on a call with you. Andrew: That’s what Acuity Scheduling is about. Elizabeth: Perfect. I love it. Andrew: They make it super easy. Yeah. I see Elizabeth is writing this down. Everyone should be writing down “Acuity Scheduling”. Andrew: [It’s] so good. One of the reasons why I like Acuity Scheduling is because I’ve used all of their competitors and I can understand them all, but once I pass it on to an assistant or someone else on the team, they’re baffled by the crazy software that other people build. So we need it to be so simple that anyone else on my team can do it without obsessing on it. They could just use it and update it. Elizabeth: Yeah. That’s hugely valuable. I wish I sold something that straightforward and simple. Unfortunately, it’s not. Andrew: Oh, it’s so good. It took him a long time to do it. It’s created by a long-time Mixergy fan. I’ve watched him build it and improve it, and simplify it and his software is so fun to use. He actually has these little funny sayings throughout the site to keep you and whoever else in your company who’s using the software to understand that it’s light and that they’re there to help you out. Here’s a link if you want to try it out. Go to acuityscheduling.com/mixergy. Why /mixergy? Because they’re going to give Mixergy fans like the guy who created the software, he’s a fan like you, he’s going to give you a big, big free trial. So go to this URL, acuityscheduling.com/mixergy. Of course, if you ever forget that, it’s in the show notes on my site. Here’s the thing that stood out, Elizabeth… I’m grateful to them for sponsoring. Here’s the thing that stands out. Andrew: “iOffice utilizes a premier tier one datacenter. The web-based application includes an advanced network with multiple fault-tolerating, high-speed connections.” It just goes on. You talk about the 128-bit SSL encryption. It’s because you’re talking 2002, before people were comfortable, before Gmail existed, back when people even put their email on Outlook on their desktop even though it was horrible back then. How hard was it to convince companies, or what was it like to convince companies to trust the web with such critical information? Elizabeth: It was very challenging and we still do. It’s not an easy hurdle to overcome. I mean, the security due diligence that we have to go through with companies is pretty significant. As a result, we built a security infrastructure that’s very robust, very dynamic, keeping pace with what’s going on. But back in the day, it was almost impossible. I mean, we had two or three customers, and they took a chance on us because they knew Don and I personally. But then, one of our bigger customers was Enron, which was a great environment to be in because they were willing to pay money. They wanted the latest. They wanted cutting edge. Some companies were just not even… It was either they were horrified of it or they were like all in. Andrew: Oh, I think we just lost the connection. Elizabeth: Yes, willing to take the risk. Yes. Andrew: They wanted you to push them. By the way, Enron was your first customer? Andrew: How did you get Enron as a customer? Elizabeth: Because we had them as a customer at Pitney Bowes Management Services. Elizabeth: Don and I went over there and said, “Look. We think this is a great tool and we know you need it based on what you’ve done in the past. We’ve got all these other ideas about how we can enhance it.” They were like, “Yes. We want this. We’ll try it.” We were able to grow. It was a great incubator, because they were such a large, dynamic company. Andrew: One of the things that I admire about the way you built your business is you’re really good at partnerships. One of the first partnerships you got was ICON. Elizabeth: They deliver… Well, they’ll say that they’re… I forget what their tagline is. But we worked for the Managed Services Division, so they were actually a competitor of our previous employer, Pitney Bowes Management Services. So they’d go onsite companies, corporations, and manage their asset printer fleet, provide management of the centralized copy/print production facility, track mail, and they leveraged our technology as a component of their deliverable. So that’s really what helped us grow is because they became our sales arm. They became the front end with the customer, and we just provided the technology through ICON. Andrew: Let me just underline that. They sold your software to their customers. Andrew: As part of their package. Elizabeth: …just not a one-off. I mean, it was part of their overall deliverable. It was the tech component that they could demonstrate to their customer on an ongoing basis, or be very transparent to their customer about their transactions, their activity, their reporting, their performance, all that kind of stuff. Andrew: How did you get that partnership? Elizabeth: We just started calling on Pitney, our former employer, and talked, because we knew who was in charge. We started leveraging those same relationships that we had at that competitive company, and convinced… Timing is everything with business, with life, with everything. But it just happened to be that the lady who was over their ICON Management Services was in pursuit of a technology component of their deliverable. She knew they needed a technology piece so that they could demonstrate value to their customers. Andrew: Because they did the services. They had people who would manage the copying. Elizabeth: Yeah, they had that [inaudible 00:23:12]. They had expert processes. They had all the training. They would set up best practices. But they had no technology component for the customer for reporting and that type of thing. Andrew: One of the reasons why I’m spending so much time on it, that became 90% of your revenue. These people became your sales team. Andrew: …and paid you a commission every time somebody bought it, a monthly payment every time someone signed up. Elizabeth: Well, yeah. It started out that way. But then, we established an enterprise licensing agreement where we got paid a couple times a year, and then there were annuities added per client, per module, as their customer base grew. But yes. Andrew: So that’s an exciting place to be, because they’re bringing you customers and you get to focus on one thing, improving the software for your customers. Andrew: It’s also kind of scary, because at any point they could disappear and your business goes away. Andrew: What do you do to protect yourself against that? Elizabeth: Well, they’re no longer 90% of my business anymore. Elizabeth: They’re less than 50%. So we had that same, “Oh, my gosh. We can’t continue in this way,” from not only just a risk standpoint. But we also recognized that we could do some really cool stuff with direct customers, and we had enough of a portfolio of examples to reference to our customers through this ICON relationship. So it kind of all came about right about the time inbound marketing was becoming a tool for small businesses to sell their… Because I didn’t want to go hire a big team of sales people. So we really ramped up our inbound marketing program about 2011, and we engaged HubSpot to help us develop and design that. We really enhanced our website, and now our inbound marketing program is just off the charts. It’s grown our traffic, and all of our lead generation primarily comes through the web as a warm lead, somebody interested in our business. Andrew: Inbound marketing was, I think, created by Dharmesh Shah, one of the early Mixergy interviewees and supporters. Right? Elizabeth: Yes. Yeah, HubSpot. Yeah. Andrew: He went on to create HubSpot. Andrew: As a result of having people come into our site, they get to know what we’re about, and then it’s a warm lead already. So that’s what you started to do. Well, what’s the first… I guess it was content marketing that you did. What’s the first content marketing that you did? Elizabeth: The first, we would set up campaigns every month, and we started out basically just blogs, writing blogs. In addition to HubSpot, they were great at giving us a template on how to go forward. They would say, “Okay. You need to develop content for top of the funnel, middle of the funnel, bottom of the funnel. So depending on the audience that you were addressing, you were developing content for each of those type of prospective customers. Elizabeth: So we started with blog content, but then we quickly moved into eBooks, webinars, infographs, slide shares. I hired somebody to help us focus on social, so we’ve developed LinkedIn. We have LinkedIn groups. We’re active in LinkedIn groups, Twitter, all of that. Andrew: What’s the first piece of content that really took off for you? Elizabeth: The most exciting thing that we did that really kind of we were sort of a splash, and it was at our IFMA World Workplace, our conference I think in 2013… I’m terrible with dates. I’m horrible. I hired an inbound marketing firm, not HubSpot. They’re our platform. But I hired an inbound marketing firm, TwinEngine, and I went to them and I said, “Look. I don’t want to be the faster, better, cheaper version anymore. I don’t want to be blue and white, and boring, and here are our modules, and we’re better. That’s not attracting anybody. That’s not exciting anybody. I want to talk about who we are as a company, and how that translates into our solutions and how we build relationships, and how we are unique and different from the competitor. So my partner and I wrote a book, and it is called “Workspace Cowboys: Preparing the Workplace for Today’s Workforce”. I mean, if you kind of correlate the workspace of today with the open plane of the west years ago, it’s just a huge opportunity for you to kind of do exciting and creative things. You’re not chained to a desk anymore. It’s the freedom of technology, and all of that kind of thing. So we wrote this book, and that was really the most exciting… IFMA, I mean, it’s the biggest crowd I ever got at a speech. People really wanted to know about us, and I really think that’s what kicked us off, from a marketing standpoint. Andrew: It was this book that took off… Actually, I’m seeing the name now is “Wide Open Workspace”. Elizabeth: “Wide Open Workspace”. Sorry. I can’t remember the name of my book. Elizabeth: That logo right there was on it too. Andrew: Did you write the book, or did the agency do it? Elizabeth: Yes. All through interviews. Andrew: You set that up. Your vision for the book was to do what? What were you going to explain in that? Andrew: I like this line. I think it’s from the book. “The book illustrates ways to accomplish workspace goals with the mentality of a true cowboy.” That’s what it’s about. Elizabeth: Yeah. I wanted to empower the facility manager to embrace the changes that were going on and be empowered to go out and make changes in their environment. Because the workplace today is so critical to an organization’s overall success, and they need to be able to communicate and integrate technology tools into their environment. That’s what we were trying to do. Andrew: Okay. Let me talk about my second sponsor, and then I want to continue with the story. I especially want to ask you one important question about the book. Like how do you promote the book when you have a business to promote? It’s hard enough to promote a book. It’s hard enough to promote a business. To do both becomes harder, but there’s a strategy there that you use that I want to talk to you about. Andrew: First, the sponsor is called HostGator. They’re a hosting company, and these guys have been around forever. One of the reasons that they outlast so many other hosting companies is that they just have a huge, huge customer base. They’ve been doing it for so long that they know how to take care of their customer base at a low price. How are you going to compete with that, when they have all the customers and they can actually undercut everyone else? It’s really hard, and that’s why these guys are in business for so long. That, and I’m actually going to add one other thing, HostGator is fantastic with tech support. They realized early on that if you are going to be in the hosting space, it’s not just about signing people up. Because if you do and they have trouble, and they leave, that’s where you lose your business and you have bottomless turn. So what they decided to do was they were going to be really good at customer service. So they put it right there. If you go to hostgator.com/mixergy, you’ll see they give you 24/7, 365 tech support. You have a problem? Call them up. They’ll be there for you. All the other stuff is also included, unlimited email addresses so you can have support at yourdomain.com, so you can have sales at your domain, etc., unmetered disk space, etc. One of the things that they’re doing just for Mixergy, because our sales guy, Sachit Gupta said, “You guys are advertising now more podcasts because you see how well it’s working for Mixergy. We can’t compete with them by offering the exact same thing. You’ve got to give Andrew something bigger, something better.” So he just kept pushing and pushing, and pushing, and they gave us the best deal they offer anywhere. Guys, check it out. Go compete. Go look. If you can see better than this, go sign up for it. HostGator is giving Mixergy listeners 50% off their already low prices. We’re talking about just a few bucks a month. Fifty percent off, go to hostgator.com/mixergy. Only a few bucks a month gets you incredible hosting with great tech support. They’re an Inc. 5000 company. Of course, if you’re unhappy, you can leave within 45 days. If you hate your current hosting company, sign up for them. Go to hostgator.com/mixergy. I’m grateful to them for sponsoring. What’s the process, Elizabeth, that you have this book… I guess, what you do is you promote the book because it’s easier to promote the book, and then through the book you promote your business? Andrew: That’s it. So where did you promote the book? Elizabeth: The book wasn’t promoted to sell. I mean, we did sell a few. But the intent was to communicate who we were as a company and how as a team we could work together. But we promoted it mostly through shows. IFMA show is primarily where we spent most of our time promoting that. We developed a website separate from us. I had a PR firm that was promoting it to the press. We were doing blogs, and we would have campaigns surrounding every chapter. So we would write case studies that pertained to customers that relate to the chapter of the book. Elizabeth: So all of the typical inbound marketing program. We leveraged every avenue to promote that book, and then we gave it away at IFMA. We sent out cards and told people to come by the booth and get the book, and they loved it. Andrew: I see. Because promoting business as this cowboy experience is easier than promoting facilities management solutions software. Elizabeth: Yeah. It’s more fun. Andrew: Okay. I get that. Elizabeth: People definitely are more engaged and want to know why you’re different and why you’re talking about it from this perspective. I didn’t want to be silly. I wanted to be unique and I wanted to show our uniqueness, and get them engaged in conversation with us. Andrew: Do you remember when you earned the first $1 million in sales? Elizabeth: Yeah. It was a long time ago. Andrew: 2004, so that fast? Elizabeth: …when we got ICON’s deal. It was about 2004. Andrew: So I don’t see the prices on the early version of your website, because you’re doing enterprise sales essentially. So what is the price range? Elizabeth: Well, it’s by module. So that’s a benefit of the solution, is you pick and choose the services that are applicable to your business needs and you can grow. Which I will say that 42% of our revenue last year came from current customers growing into different services. Andrew: What’s a module cost? Are we talking about tens of dollars? Andrew: But if New York and Chicago needs mail, then they’re buying two modules? Elizabeth: They’re buying two centers of that module. Andrew: That’s an incredible business. It’s great for you. It’s great for them. What kind of revenues are you guys doing today? Andrew: $7.7 million, $7.8 million? Andrew: Wow. Did you take any outside funding? Elizabeth: No. We funded ourselves. Andrew: There were actually three co-owners at first. Right? Elizabeth: Yes. There were three co-owners. Our third partner passed away in 2010. Elizabeth: So Don and I bought his shares from the estate. So now it’s just Don and I.
Andrew: Okay. Then, what was that third partner’s role? Elizabeth: He was the CFO. Elizabeth: CFO. More the financial, accounting, administrative side of the business. Elizabeth: He did do sales too. He’s as good at networking, and he was a people person. Andrew: I have a note here about how you still had an issue here. After he passed away, suddenly you guys realized that… You started focusing on finances and you started investigating, because there were millions of dollars in accounts receivable that were over a half a year old. Right? Elizabeth: So my lesson to any entrepreneur is you put your skill hat on, and you assume that your other partner that’s managing another part of the business is doing what they’re supposed to be doing. You’re having your monthly P&L review sessions, and you can’t just assume that it’s all going well. Because when that situation occurred, we recognized that we had some… It wasn’t… What’s the word I want to use? It was just kind of a bumbler a little bit. So we had some AR issues, which you know cash flow in a small business is cash is king. Andrew: Because you started making phone calls to account your accounts receivable. Andrew: People owed you money. They paid because you called them up. Elizabeth: Yes. We significantly changed our processes internally. We hired a controller. We got a new CFO. We went through a whole revamp of our back office operations, and we also recognized at the time… We were providing move management consulting services, and the idea was if we’re managing your move and using the software, that it would just be a logical sell for them to continue to manage moves and space, because that stuff doesn’t stop. But that was not a successful avenue, and the move management was a huge revenue generator. But no profitability, slow paying, and what we recognized after this kind of financial crisis was that the software was really funding everything. We really needed to go back and focus on what we do well. So we ended that piece of our business. Andrew: You don’t do move management anymore? I thought I saw it on the site. No more? Elizabeth: No. Well, I mean, software. We have move management software. Andrew: Oh, but not services where you’re helping companies move? Elizabeth: But not [inaudible 00:38:55]… Yeah. Andrew: That’s like where you become their movers? Elizabeth: It’s a project management kind of goal. Elizabeth: We don’t do that at all. We’re just a software company. Andrew: Now, do you and your co-founder, Don, do you guys watch what each other does? Do you check in to make sure that he’s on track? Do you do that kind of oversight? Elizabeth: Oh, yes. Yeah. We’re much better at getting in each other’s business. But Don and I have known each other… God, I was 25 when I met him. Elizabeth: So a long time. Andrew: When you made that first sale. Andrew: You know what? I have to say, as a founder, you sometimes feel like watching people is like micromanaging them, and frankly often it is micromanaging. But I appreciate when someone else on my team comes over and says, “Hey, let me check in to see how you’re doing with this. Hey, Andrew, you’ve got this big project. I want to see how that worked out.” I love that. Because I think that as a co-founder, there’s too much burden on my shoulders and there’s nobody there to watch and make sure that I’m not falling. There’s nobody there to see that I am trying to just trip up, and help me out. Elizabeth: I completely agree. I think our organization is so much more powerful when we come together as a team and we problem solve as a group, and bring people who are in different roles in the organization, from development to account management, to sales, and kind of go through different use cases and scenarios where we’ve struggled or had issues. Elizabeth: Because the solutions we’re able to come up with as a team is just incredible. Then, you know how to respond on the next one. Andrew: So what other partnerships have you had, like ICON, that have brought in new customers? Elizabeth: Well, we have a couple of partners that are like them, a company called Swiss Post, and we also have a relationship with Sodexo, but only in the Baltic states. Go figure. Elizabeth: That was an inbound lead. Then, we also have a lot of other channel partners that are more in the occupancy planning, interior design, move management consulting, so they are more in the services business. Andrew: They’re bringing you customers. What’s one piece of advice that you could give us to close out this interview with about how to find these partners and create the partnerships that you’ve done so well with, the ones that bring in new customers? Elizabeth: Okay. Well, the way we did it is I hired somebody who had worked in our industry, was very familiar with who the players were. Which is what I needed, somebody who knew who all the… Because all of our competitors are involved in this industry. So we hired somebody who knew the industry well, who knew already the value of the channel partners and the quality of their work, and their customer relationships. Then, we developed a program so that they understand their financial obligations, their revenue potential. They could come in at three different tiers, and they understood how we were going to work together from a business perspective, and how we were going to work together in the sales process, in the implementation process. So we have a whole program, so that it’s very clear and expectations are well set between both players. Elizabeth: No, no. We don’t [inaudible 00:42:33]. We don’t do that [inaudible 00:42:34]. Andrew: You’re being really clear with them about what they’re expecting. All right. Thank you so much for doing this. By the way, did Microsoft ever go after you for using the name “office”? They went after one of my past guests. He had to change his name from Office Autopilot. Andrew: Never had an issue? Elizabeth: No, because it’s always been iOffice. But no. Andrew: Yeah, it is. For anyone who wants to check it out, the website is iofficecorp.com. The site looks really good. Thank you so much for being on here and doing this interview. Elizabeth: Thank you, Andrew. Take care. Have a great day. Andrew: Thank you, and thank you to my two sponsors hostgator.com/mixergy, and acuity.com/mixergy. Bye, everyone. Bye, Elizabeth.